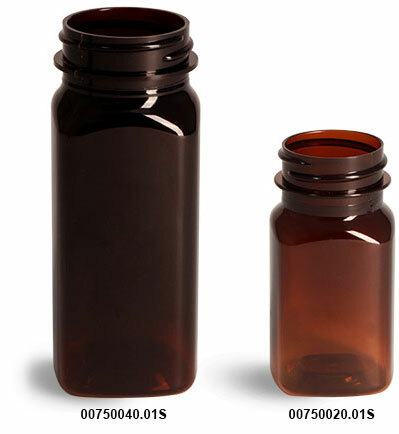 PET square bottles sold here in amber are eye-catching options with a composition to package a large range of products. Dark PET colors have some UV protective characteristics, while also having barriers and resistances from many ingredients. 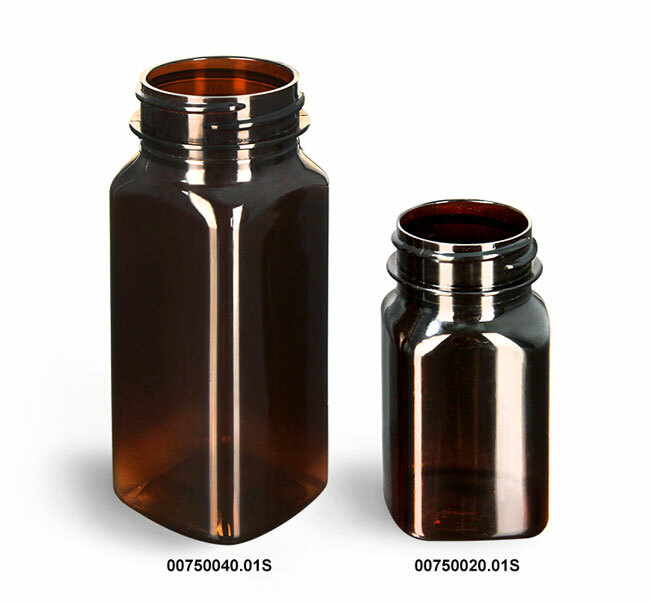 Choose from various dispensing or non-dispensing caps compatible by clicking the Add-ons menu.